Anvi Ultimate Defrag v1.0 is one of the best defrag tools available in the market to optimize the files present on your hard drive to increase the system performance which speeds up the system activities. 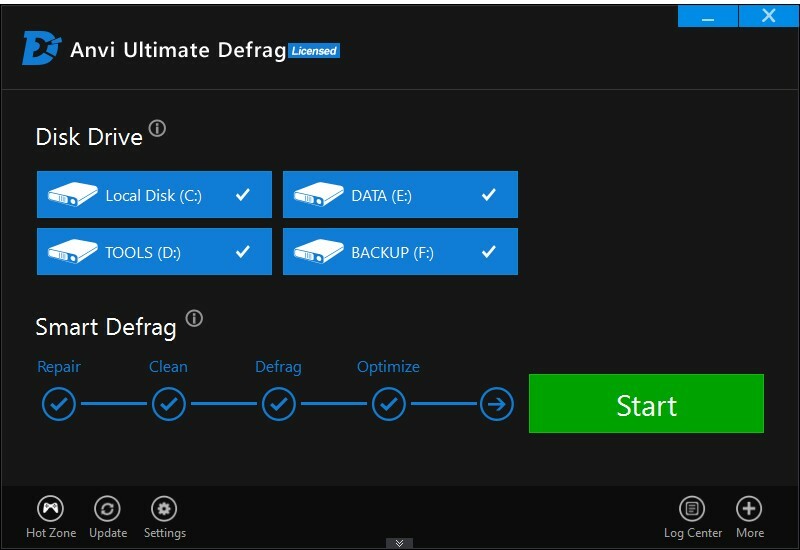 Anvi Ultimate Defrag v1.0 repairs the disk errors and the bad sectors and cleans up all the junk files present on the hard disk and makes the disk defragment much smoother. Once the defragmentation is completed, all the files get properly aligned up making it easy for your system to access them. It consolidates all the files and the folders which are stored in your hard disk to make it run more efficiently. SparkInDark is giving away 100 License Key of Anvi Ultimate Defrag v1.0 Pro. The giveaway is available till June 15th, 2013. So join the Giveaway and try your luck on this PAGE. Thanks-a-mundo for the blog. Really thank you! Will read on.